The Library Development Program is addressed to public libraries in all rural and rural-municipal communes and municipal communes with up to 20,000 residents. We are particularly concerned with delivering our program to branch libraries which are often the only public institutions in their local townships. Our studies indicate that almost half of branch libraries have no computer equipment available to library users. 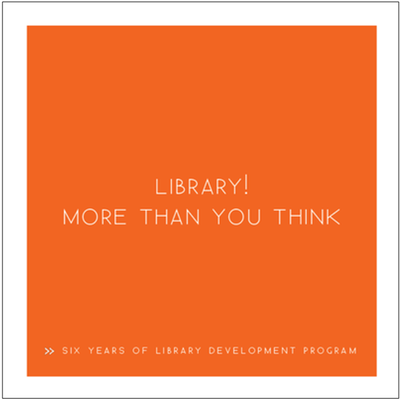 The Library Development Program prepares librarians to run their libraries in a modern way, to organize interesting events that fulfill local resident expectations, secure additional non-budget funds and promote themselves and communes. One of the Program's strengths are active and very practical forms of training. The multimedia and ICT equipment delivered as part of the Program - desktop and laptop computers (with software provided free of charge by Microsoft Corporation) as well as projectors and peripherals will enhance the attractiveness of libraries and help them pursue interesting projects. Libraries and local governments have the opportunity to initiate cooperation with other communes in implementing the Program. Regional conferences, national scale congresses, best practices programs and grants facilitate the ongoing exchange of information and experiences. The Program contributes to strengthening the entire library system, integrating the community, and implementing more advanced and effective forms of communication between libraries and librarians. Our information campaign will put the library issue on public debate, and our promotional and advocacy efforts contribute to building the prestige of the librarian profession. "Library! More Than You Think - six years of Library Development Program" summarizes 6 years of implementation of the Library Development Program in Poland (the undertaking of the Polish-American Freedom Foundation managed by the Information Society Development Foundation aimed at transforming more than 3,800 public libraries in rural areas and small towns into modern, multi-function information, cultural and education centers stimulating civic involvement). Between 2009-2015 the Program was implemented in partnership with the Bill and Melinda Gates Foundation. Watch a video "Library Development Program: technology and people" and learn how libraries participating in the Program bring about positive changes in the lives of individuals and contribute to the development of whole local communities. Download a Library Development Program presentation (zipped Flash executable file). "Library. Small ideas for a great change" is a brochure published by the Polish Architects' Association (SARP) within the Library Development Program. A team of experienced architects and designers in consultation with the Polish Children and Youth Foundation has developed this guidebook in particular for libraries in small towns. This brochure contains advice and guidelines on interior design, ideas for changing the appearance of libraries, simple and inexpensive ways to make them attractive places for local residents. The brochure is not only about aesthetics, but also about functionality and responsiveness to residents’ needs. "Library. Small ideas for a great change"
pafw frsi The Polish-American Freedom Foundation has partnered with the Bill & Melinda Gates Foundation to help Poland’s public libraries provide access to computers, the Internet, and training. The Library Development Program in Poland is implemented by the Information Society Development Foundation.